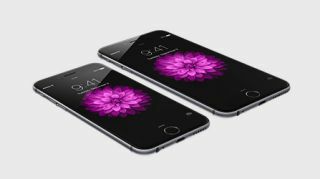 Unsurprisingly the iPhone 6 and its big brother the iPhone 6 Plus have made a splash in China, and they're not even available for pre-order yet. But Apple's new iPhones have been reserved 4 million times in China, Fortune reports, and 2 million times in the first six hours. The iPhone 6 goes on sale in China on October 17, and more will likely reserve it before then. Interestingly the split between the two iPhone versions is almost right down the middle, according to some Chinese media. However it should be noted that these "reservations" are not pre-orders, which actually begin on October 10. Instead they're apparently like pre-orders for pre-orders, and they're a way for carriers and retailers track how many pre-orders they'll receive. China's three biggest carriers, China Mobile, China Telecom and China Unicom, are taking these reservations. China Unicom alone reportedly received 600,000 in the first two hours. Why customers need to make reservations for their reservations is anyone's guess, but it seems to be working.